The first round of winners was announced during a spectacular cocktail and concert on the beach at the Marina Riviera Nayarit: Mike Ingham and the “Digger” team took 1st place in the J24 class; the Windsurf category was led by Demita Vega de Lille; and Oceanic was won by “Bandido,” under the watchful guidance of captain Ernesto Amtmann. 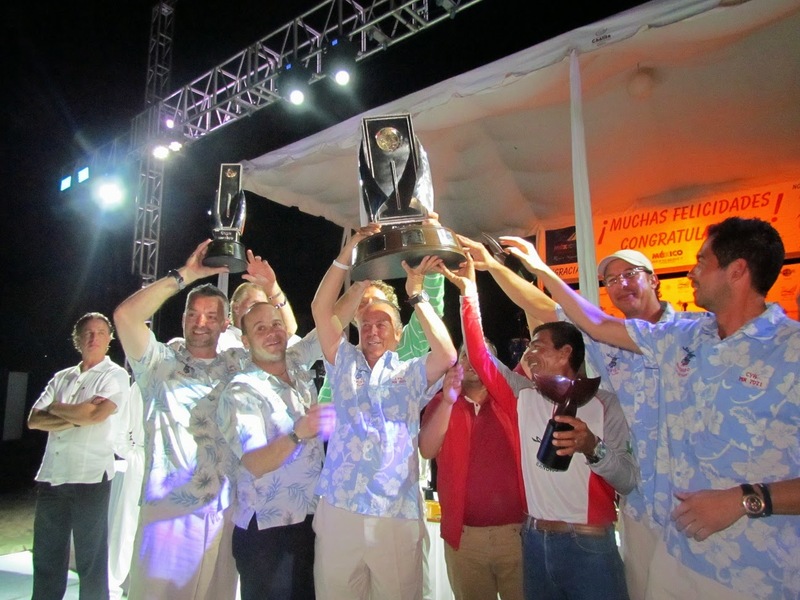 The first winners of the 2014 Mexico Cup Regatta were announced during a spectacular cocktail and concert held on the beach at the Marina Riviera Nayarit, with the athletes’ satisfaction very much in evidence during the event. The Executive Marketing Director for the Mexico Tourism Board (MTB) was on hand at the conference table in representation of Secretary of Tourism, Claudia Ruiz Massieu, and he emphasized the importance of the Mexico Cup and the Riviera Nayarit in the international arena. The J24, Oceanic and Windsurf class competitions concluded that evening, with the winners announced during the event. As always, ladies first: Demita Vega de Lille from Cozumel, Quintana Roo took first place in the Windsurf competition, not only in the Olympic Women’s Category but also in the Men’s Youth Category. Together with the world cup that took place last January, this regatta gives her a pass to enter the Pre-Olympic Championship in Rio de Janeiro this year, as well as entry into the World Championships in Spain, where she will be representing Mexico. There were two championships at play in the J24 category—one from North America and one for the 2014 Mexico Cup. Both were won by Mike Ingham and the “Digger” team, with athletes from Sweden, Mexico, Denmark and the United States. The Oceanic trophy was awarded to “Bandido” and its captain, Ernesto Amtmann, who is also the Honorary President and Founder of the Mexico Cup Regatta. “I think I can honestly say the Riviera Nayarit is poised to become one of the main—if not the top—tourism destination for nautical sports in the country and in the Mexican Pacific. It’s a rare place where you can sail 365 days of the year, there’s nowhere like this to the north or the south; it’s a very privileged location,” he added.